GRANDMA’S TRADITIONAL TREES ARE BACK! 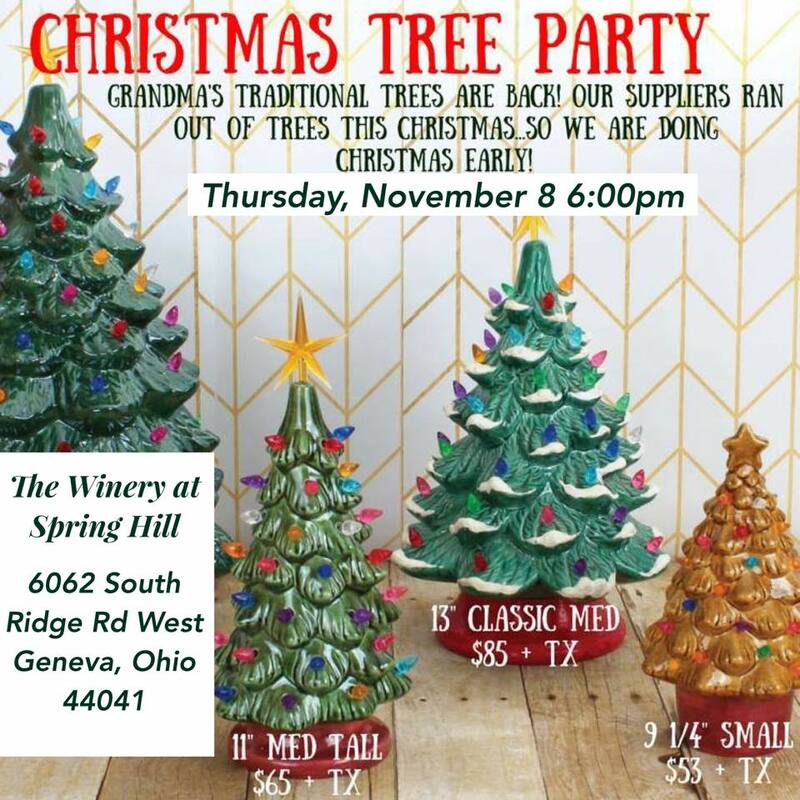 SIGN UP TO PAINT A TREE OF YOUR OWN AT THE WINERY AT SPRINGHILL ON NOVEMBER 8TH. TREES ARE LIMITED, SIGN UP BEFORE THEY’RE SOLD OUT FOR THE SEASON! 4 sizes to pick from! Starts at $40.00 includes a glass of wine!